Fits 1" parallel gate valves. With the ever increasing cost of crude oil, thieves are now actively targeting fuel tanks at farms, transport depots and domestic properties. These tanks can contain many hundreds of pounds of oil and diesel and it is therefore worth taking precautions to protect it. 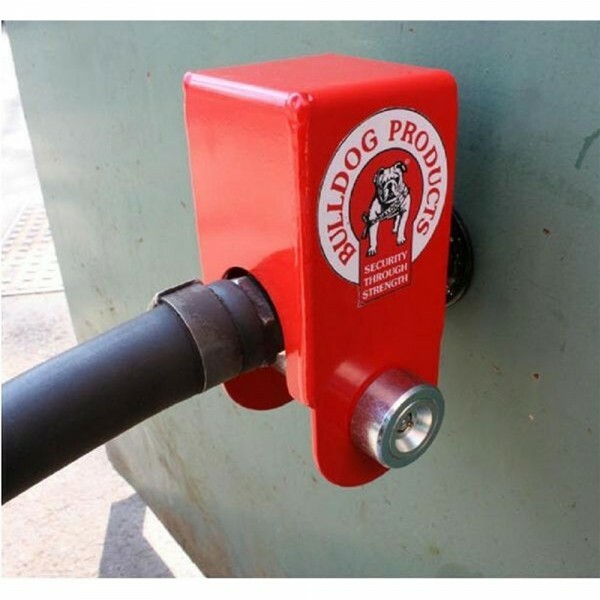 The Bulldog FTP10 fuel lock is the ideal first line of defence, a 3mm mild steel case fits over the gate valve a 25mm diameter lock bolt that can not be bolt cropped locks into place. 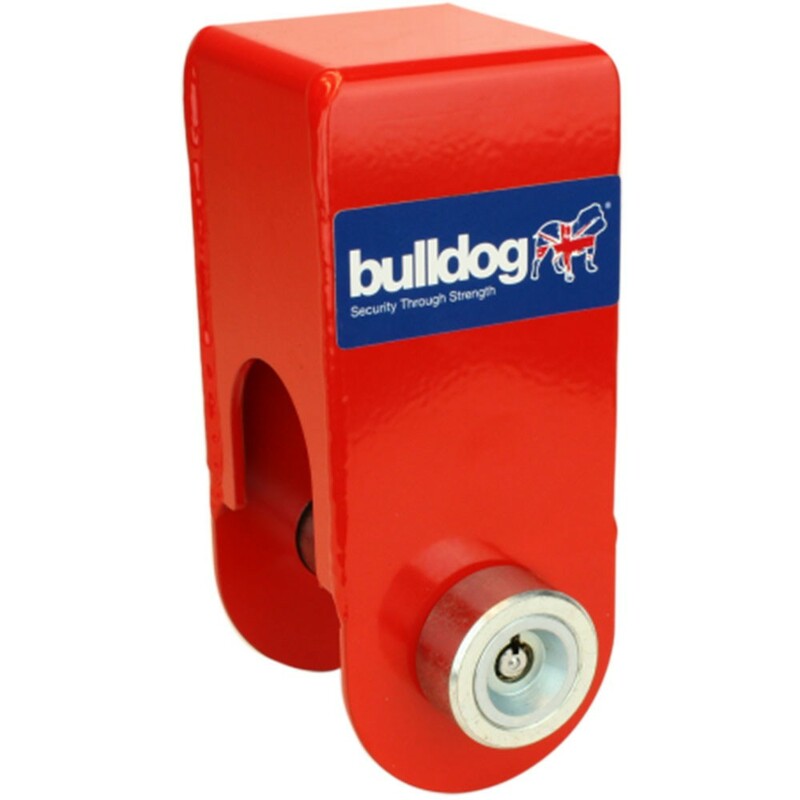 Finished in bright red powder coating the lock is highly visible and easy to fit. 10 pin radial tumbler lock 25.4mm diameter. Keys can only be removed in locked position. 2 keys supplied as standard and can be keyed alike. British manufactured and sold with Bulldog 5 year Guarantee.